Beijing's new mega airport welcomed the first test plane today as the sprawling ?9 billion hub gears up for its opening this year. 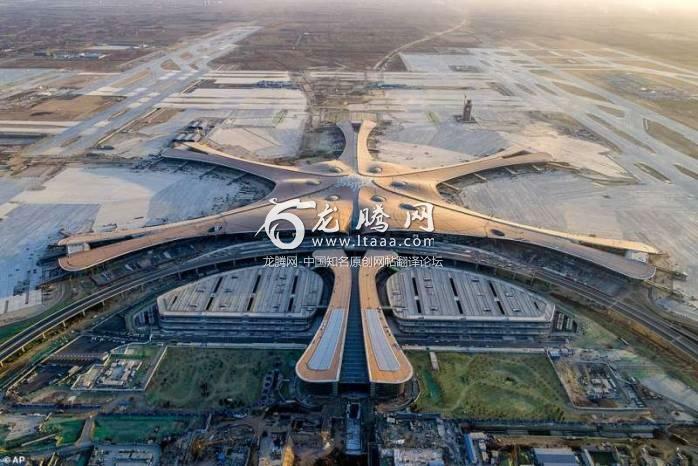 The aircraft took off from Beijing Capital Airport at 9.28am local time and arrived at the brand new Beijing Daxing International Airport after a quick 42-minute flight, according to China Central Television Station. 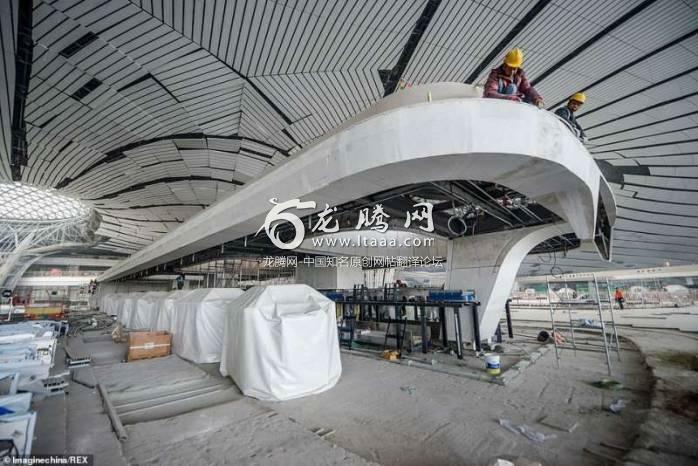 Four runways will be complete when the first passengers check in at the airport in autumn and a total of seven have been planned to handle China's growing number of air travellers. The gigantic airport is made up of 1.6 million cubic metres of concrete and 52,000 tonnes of steel. China aspires to become an aviation powerhouse on the global stage, and the new Beijing airport is a key chess piece - after the country unveiled its home-made C919 passenger plane to take on Boeing and Airbus. Beijing Daxing International Airport will dwarf all Chinese airports in terms of its capacity. According to Xinhua, it is due to process 72 million passengers, two million tonnes of cargo, as well as 620,000 takeoffs and landings a year by 2025; while in the long run, the transport hub will boast an annual capacity of 100 million passengers, four million tonnes of cargo as well as 880,000 takeoffs and landings. China is expected to overtake the United States as the world's largest aviation market in the mid-2020s. The International Air Transport Association said in a report last October that China's consumer-driven economy could support strong passenger demand in the long run. The report estimated China to have one billion new trips by plane every year between 2017 and 2037. Meanwhile in backwards Britain our infrastructure is collapsing. I guess we shouldn't have spent all that money on 18 years of war. The reason UK is a welfare state is because of its theft from its colonies. Ironically, it looks like a drone! All banging on about climate change and this chinese leader can build anything he wants. They have 17 mile long shipping ports and still manipulate there currency. Will anyone stop china. remarkable, to think how far they have come in just a few decades. With the West's money :) Just like the Middle East. Should alarm anyone, especially those with children. China really is set fair to become the World's next superpower.